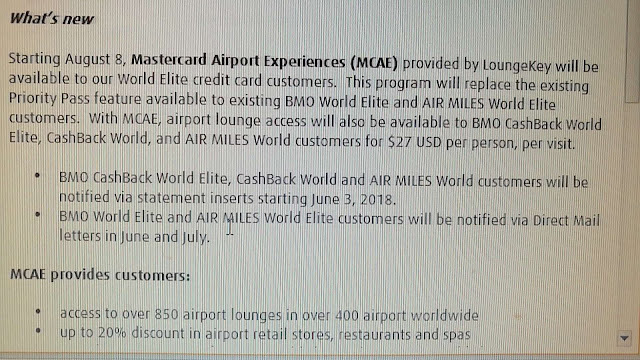 One of my friends working in BMO told me some upcoming changes to their credit cards. 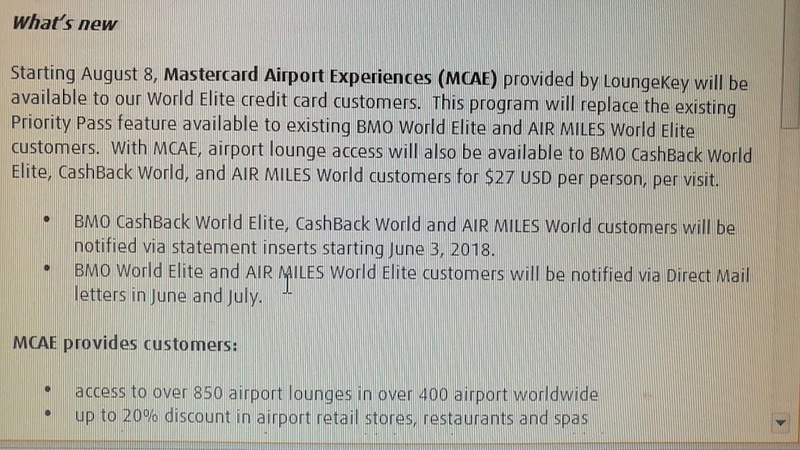 Starting Aug 8, 2018, Mastercard Airport Experiences (MCAE) provided by LoungeKey will be available to BMO World Elite credit card customers. This program will replace the existing Priority Pass feature. How do you feel about these changes? 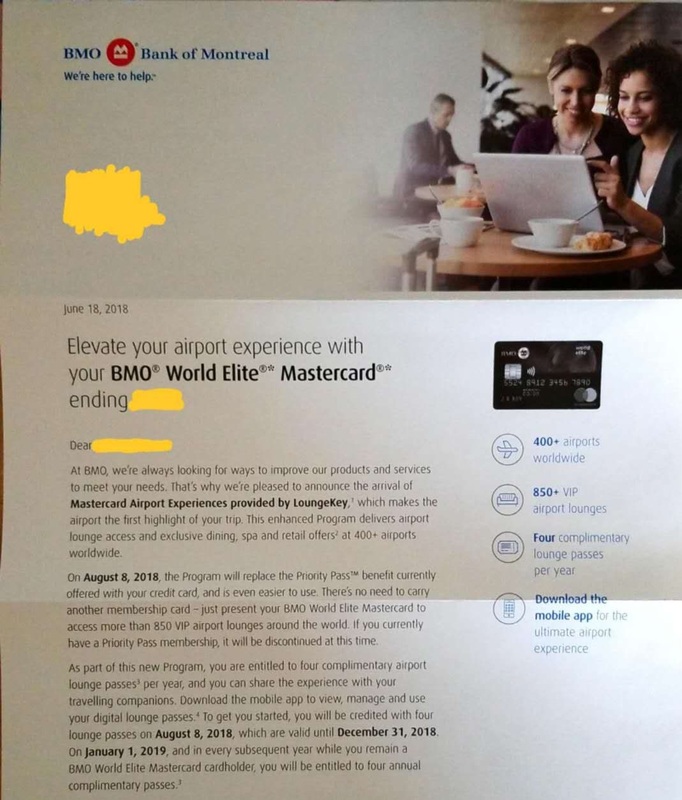 Updated on Jun 23, 2018: Just got a direct mail from BMO about this change.